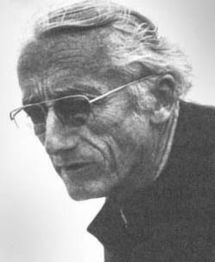 Jacques Cousteau was a French oceanographer. Best known as the co-inventor (with Emile Gagnan) of the aqualung, Cousteau also invented a process of underwater television and conducted a series of undersea living experiments (Conshelf I–III, 1962–65). Many of the expeditions made by his research ship Calypso were filmed by him for television and cinema. Although immensely popular around the world with the public, academics accused him of showmanship and questioned the validity of his research. In later years he became a prominent figure in ecological movements.